For anyone out there who has been skiing before, owns a pair of skis perhaps and/or their own comfortable well-fitting ski boots, the option of driving (rather than flying) to the slopes is a particularly attractive one. It means that a small group of friends can travel together along with all their gear and their luggage without having to worry excessively about the excess weight issue and oversized baggage. As for that heart-warming Génépi liqueur that you grew so fond of in the après-ski hours? Well, now you can bring some of it home with you. Bring a few more bottles of it if you want – you won’t get it any cheaper than in France and nobody will stop you bringing it on the ferry. At present, the only company bringing you direct from Ireland to France is Celtic Link Ferries. Their thrice-weekly schedule departs Rosslare every Tuesday, Thursday and Saturday evening Friday and arrives in Cherbourg in the afternoon. Irish Ferries are back with their direct link to France from Rosslare on December 8th. The timetable is a little irregular but there are about three departures per week with a new Dublin-Cherbourg weekly service starting on January 18th. From Cherbourg, you’re immediately on dual carriageways that soon become motorways that will take you to the slopes in just under nine hours. Generally speaking, you’re highly unlikely to run into any major problems with access. In France, local authorities are well geared up for the snow and ice that winter brings and national primary routes (i.e. motorways or roads whose names begin with the letter “N”) and all routes leading to the winter resorts are never blocked for long before machinery duly arrives, clearing and salting a perfectly drive-able path that any Irish driver can manage. Local Alpine residents will be inclined to own a set of snow tyres as well as a pair of snow chains. For the winter tourist, you will be well equipped with a pair of chains in most circumstances but it is advisable to check with the resort you’re going to beforehand. You can buy chains at various outlets either before you go, en route or online. Prices vary wildly from about €20 up to €850 for a pair of chains or socks. Again, for the purposes of the Alpine tourist, you won’t need to go much above the €20 mark for the short duration of time that you’ll be using them. If you’re driving an average-sized diesel car, budget for around €220 to cover your fuel costs for the return journey (based on average prices in France of €1.35/litre) and a further €100 for your motorway tolls costs for the journey there and back. You can avoid the motorways of course, but it’s definitely ill-advised, considering the length of the journey. Make sure your car is fully serviced before setting out into the sub-zero world; a taste of which you may have had during the exceptional winters of 2010 and 2011. Pay special attention to the battery and the fan belt and ensure to have antifreeze as recommended by your car manufacturer (i.e. no “yellow pack” stuff). If you don’t have AA insurance or similar, it would be a good idea if you got that organised and included continental cover. Also make sure that your windscreen washer solution won’t freeze up and bring along a can of de-icer, a windscreen scraper and a big box of matches for thawing out those frozen locks. 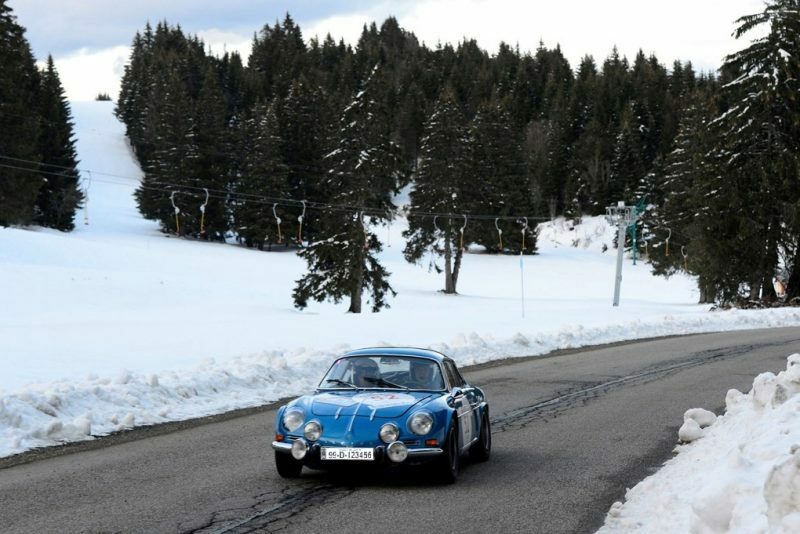 Remember, driving to the Alps is not just a holiday and not just a skiing holiday – it’s a whole adventure!